Romantic, spacious, private with a touch of luxury describes this very central Studio unit. Set in fully fenced grounds with a spacious lawn and garden. Large, sunny deck leads off the main living area, with sun umbrella and outdoor dining table provided. Double carport with room for small boat, easy access and lockable gates. Large flat screen 51" TV to view from bed, sofa or dining area. Brand new queen bed and fold out large single sleeper sofa in fresh, open plan living with lots of light. 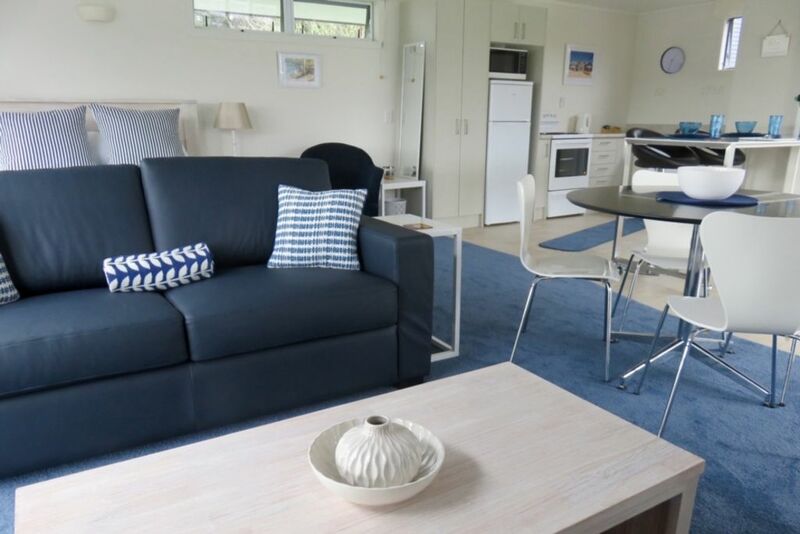 Easy, flat walk to Coromandel Township (250 metres) with shops, cafes and craft shops to browse in. Highchair and portacot available for hire. Free Wifi - Full details for connection in the on-site compendium. A flat walk into town, less than 400 metres. Combined bathroom with toilet, shower over bath tub and vanity. Secure off-street parking with gated area able to be closed. Very tidy clean accomodation very handy to township. Unfortunately we were staying on a weekend. As the studio is located opposite public toilets and a public car park we were constantly woken by vehicles coming and going with very noisey engines and occupants. Both of the nights we stayed the action would start around midnight through to about 4am. That aside we loved our stay. Beautiful apartment, very well equipped, perfectly located! Thank you for this wonderful stay! Very clean. Well set out and feels spacious.